We will be migrating to a new host! – This will allow for secure connections and hopefully gain more traffic to the website! 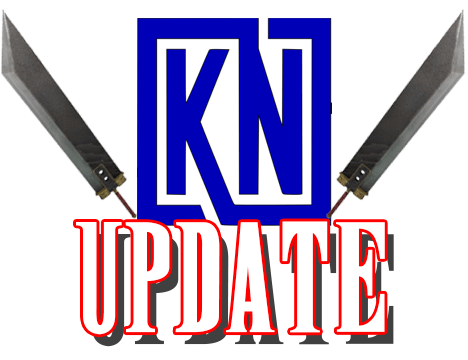 The KN Podcast will be put on hold until January 2018. We need to work on a few things to keep it rolling. Such as finding more of a niche, we are sticking to politics and technology, or more so how technology will affect our economy and politics be sure to follow us on facebook and twitter. We launched MCNN, great idea… just no support. I don’t see it living on past its domain purchase. If someone wants to become a writer, let me know you sure can write. The J and J Show should return this week sometime. Kentucky Basketball and Mountain Sports are back on the horizon and we have plenty to talk about! The Kentuckynerd live streaming will become a bigger part of our environment. I have purchased more equipment, and want to bring fun and high quality streaming to everyone. We will be streaming live on Facebook, YouTube, and Twitch all at the same time. 2017 hasn’t been a pleasant year it has 110% had more downs than ups. KN is heading in the right direction we believe. If you haven’t already! Be sure to join up on our famous discord you can access it by clicking on a link to the right of this post! Look for us live everywhere on the internet! I hope all of our content brings you happiness and enjoyment!